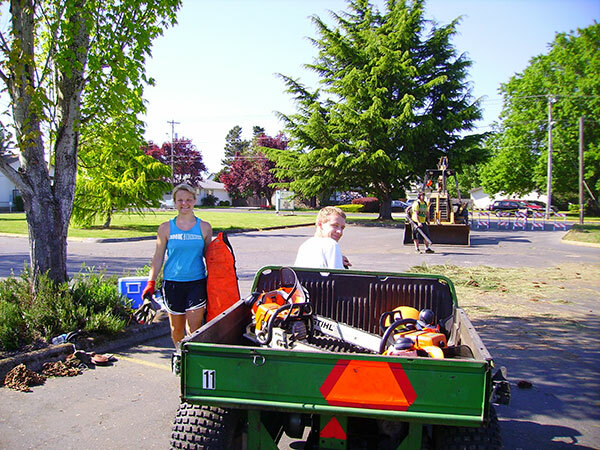 One of the main functions of the Plant Services department at George Fox University is to continually improve the campus buildings and student housing. To accomplish this, individual departments within Plant Services work together as a team to design, construct, and implement Campus Facility Improvement Projects. The following list represents only a fraction of the ongoing projects that Plant Services is involved in. Almost every project involves more than one department, from Building Repair (construction) to Building Systems (electrical, plumbing, heating and air-conditioning) to Custodial (furniture) to Grounds (landscaping) to Office and Administration (purchasing and receiving). As you can see, it is truly a team effort.